It's a common scenario: Asians living abroad crave—but can't find—the food products they know from home, such as hot sauces from China or rice snacks from Japan. With the number of Asian immigrants to the United States growing—Asians are poised to be the largest immigrant group by 2055, according to Pew Research Center projections—Alex Zhou identified an opportunity. 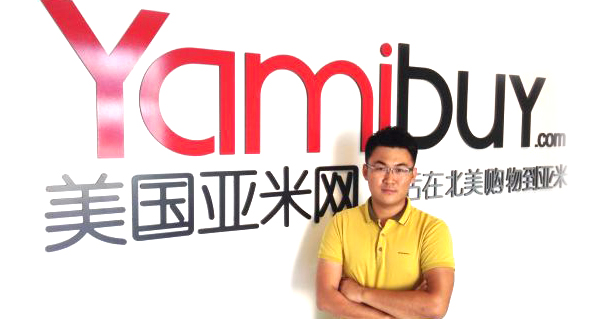 He launched an e-commerce site, Yamibuy.com, to meet those consumers' needs. Alex Zhou is not only one of the youngest CEOs you’ll meet, this millennial entrepreneur is also a significant contender in the e-commerce space. His California-based company, Yamibuy, is growing by leaps and bounds and is expected to double revenues this year to $100 million. In the summer, he secured $10 million in Series A funding from GGV Capital and other venture capital firms. Today we’d like to introduce you to Alex Zhou.Alex, can you briefly walk us through your story – how you started and how you got to where you are today.Born and raised in the beautiful harbor city of Dalian, China, I came to the U.S. to attend Kansas State University in 2007, earning a bachelor’s degree in industrial engineering in 2011. In Kansas, it was almost impossible to find a decent Asian grocery store.Sometimes when I felt homesick and couldn’t stop thinking about the delicious Chinese food and snacks at home, I drove for two hours to shop at the best Chinese grocery store I could find.